Your smile: It’s the one feature that immediately tells the world how you’re doing. With age, your smile can lose its vibrancy due to discoloration, tooth loss, excessive grinding or cavities and decay. 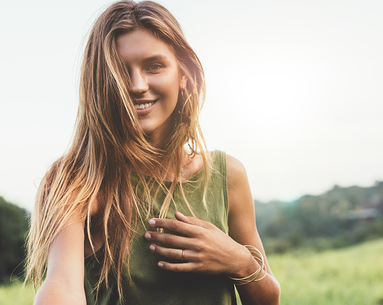 Yet no matter what your tooth trouble may be, there’s likely a solution, including everything from a one-day bonding fix to year-long straightening devices, such as Invisalign, crowns and even gum contouring, to give you the smile of which you've always dreamed. 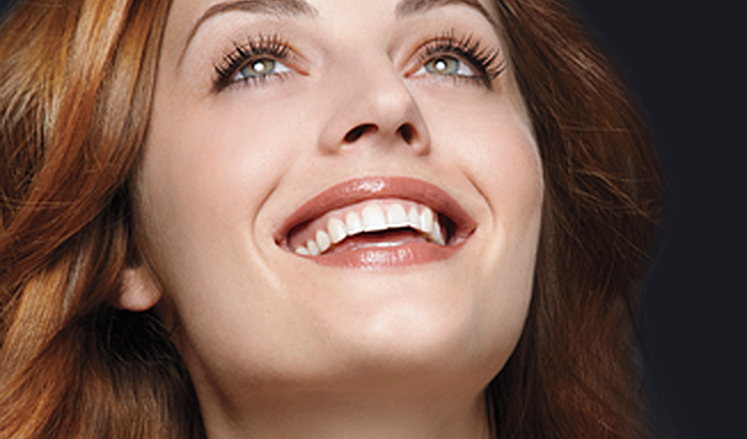 A smile makeover can include any combination of cosmetic dentistry treatments. If minor smile imperfections are at the top of your must-fix list, then tooth bonding may be the right procedure for you. To conceal imperfections—like spacing, chips and even dark stains—your dentist can perform bonding, sculpting tooth-colored resin over the nooks and crannies of your teeth to give the appearance of a straighter, more balanced smile. A conditioning solution is first applied over the surface of the enamel, roughening the outermost layer of your teeth to ensure a stronger bond. Priming your teeth helps to texturize them, preparing them so the composite clings more securely to the teeth. Your dentist will then sculpt layers of the material over your teeth as needed, setting it into place with a special light that hardens the plastic within seconds. Your dentist can also lengthen the edges of teeth to correct a short smile or build out the back teeth to hold out the cheekbones, which creates the appearance of more chiseled bone structure. For teeth that are severely worn, broken or have large cavities or fillings, the only saving grace is a dental crown—a hollow, tooth-like cap permanently cemented over your natural tooth. Protecting just the front of the teeth [as with veneers] is not always enough. Many times patients think they need veneers when crowns are a better option because they provide more support. Crowns can be used to make a crooked smile appear straighter, to repair broken or damaged teeth or to cover a bridge or implant. The tooth surface is reduced, then covered with a custom cap in porcelain, porcelain bonded to metal, or another durable substance. 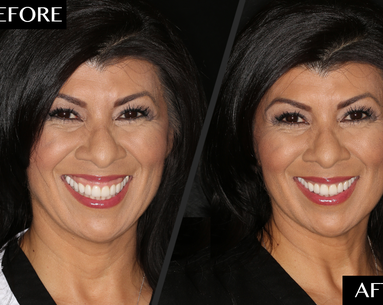 Crowns are sometimes used side-by-side with veneers in a full-mouth restorative procedure. If you have tooth sensitivity, crowns may help there, too. Most tooth sensitivities can be addressed quickly through a detailed exam. Sometimes the culprit is a fractured tooth, which doesn’t necessarily indicate the need for a root canal. Fractured teeth can be preserved and made nonsymptomatic with crowns. In most cases, once the bite is balanced on the fractured tooth, symptoms diminish within a couple of weeks to a month. Looking for a quick fix for a smile hampered by slightly crooked or uneven teeth or teeth that are overcrowded, either due to genetics or the result of teeth having shifted over time? Tooth contouring creates a more natural, organically rounded and youthful smile because the flat, worn edges are transformed into round ones. Sometimes, just smoothing the edges of the teeth can give the appearance of a straighter smile. 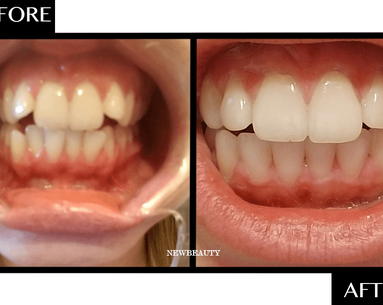 This is a conservative approach that is quick, and a little fine-tuning of your smile can make a big difference. The edge of the teeth are what gives the appearance of crooked teeth. Recontouring the edges of mildly crooked teeth will change the visual perception and give a straighter appearance. Your dentist can reshape the edges of your teeth to give the illusion of straightness, even when the teeth are in a crowded position, by filing down areas where there is minor crowding. This allows shadows to be created and control the way the light hits the teeth so that they instantly look straighter. The anesthesia-and downtime-free procedure takes about 30 minutes or so, depending on the number of teeth treated. And it can be paired with other in-office procedures, like bonding or veneers, to fine-tune the smile. If you’re looking to create a younger smile while repairing severely damaged or missing teeth, dental implants can make a dramatic improvement. Implants are individual and can be used in single or multitooth restorations. Unlike veneers, which are glued to the fronts of teeth to mask imperfections, dental implants are a permanent surgical solution for patients who are missing teeth and would otherwise need dentures. Implants can be used for people who have missing or severely cracked or broken teeth or for those suffering from advanced periodontal disease. In these cases, the tooth needs to be extracted and then replaced with a dental implant. Implants can do wonders to restore a patient’s confidence in smiling and eating with comfort, and the results should last a lifetime if properly cared for. Allow anywhere from two to six months for the bone to grow around the implant after surgery. The process is very time-consuming and doesn’t apply to patients with teeth in the upper back regions of the mouth, where the sinus is low and gets in the way of an implant. 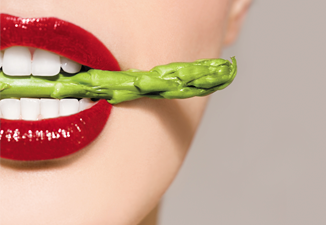 You can’t underestimate the role the gums play in the overall appearance of the mouth. Teeth that appear short and square give the look of a gummy smile, which ages you. Removing excess gum tissue (gingivectomy) and reshaping the remaining gum tissue (gingivoplasty), are efficient ways to reveal more of your teeth so that your smile, as a whole, is more proportionate and age appropriate. One way to speed up the treatment process is by having your dentist use a nonsurgical dental laser like PerioLase. It treats the gums in a conservative manner by not cutting dental tissue. Combining the laser with a gum lift not only remove excess gum but also enhances the shape of the teeth along the gum line. Using a laser to reposition the gumline, your dentist can expose parts of the tooth that were previously covered, reestablishing height and vertical dimension. As a general rule of thumb, you should barely have any pink showing above your teeth when you smile. With laser gum recontouring, your dentist will remove extra gum tissue and repositioning the gumline. As a result, short teeth appear longer, and your smile will look more balanced. The procedure, which is safe and takes less than an hour per arch, yields permanent results and minimal downtime. There are no stitches, rarely any swelling and the results are immediate. Best of all, it only requires topical anesthesia. When anesthesia is injected into the gums, it causes them to swell, distorting the way the gums look and making the procedure harder to perform. Anyone wishing to transform his or her smile. Anyone who is satisfied with their smile. Expectations will vary depending on the combination of treatments needed to complete your smile makeover. Be sure to discuss the length of time each treatment will require with your cosmetic dentist. Good oral hygiene is essential to maintaining your new smile. If you have a small chip and your dentist offers to smooth it out by filing, just say no! Instead, opt for bonding to restore the tooth’s natural appearance. Cosmetic contouring is often used in conjunction with veneers. 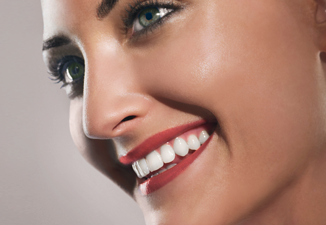 If veneers are placed on the upper teeth, usually the lower teeth will be contoured. This helps to take the eye off imperfections, putting the focus back on the upper teeth. If the existing teeth are smaller than normal, then a periodontal procedure called cosmetic crown lengthening can be performed to make the teeth appear longer and remove excessive gum tissue. This can be done with either a laser or scalpel. The procedure should be performed by a periodontist (gum specialist), and it usually takes one appointment to complete. People with dental restorations run the risk of an unevenly colored smile if they start a whitening regimen. Bleaching can’t whiten crowns or fillings, so it’s important to see your dentist before starting any at-home whitening treatment to determine if you are a proper candidate and, if so, which option is best for you.